If you've followed Heart Choices for any time now, you probably know that I'm Norwegian. Yes, I was born in the US and so were my parents. That's my mom in the photo above. But both sets of grandparents were immigrants from Norway. 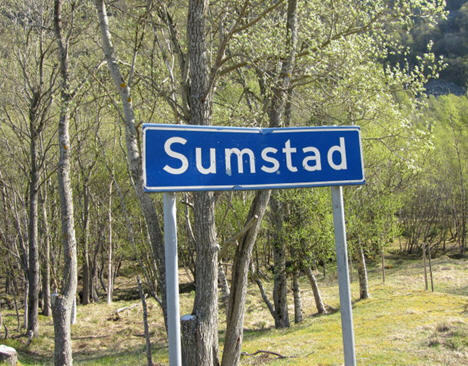 There's even a town north of Trondheim that is called Sumstad, which is my maiden name. It was common to take the name of the town as a last name when people left their homeland to go to the US. That's what my grandfather did. Her mother was born in Tromso, Norway. We've discovered so many commonalities between us that we just know we must be related. Sonja and her sister Carol Joy are like adopted sisters to me. 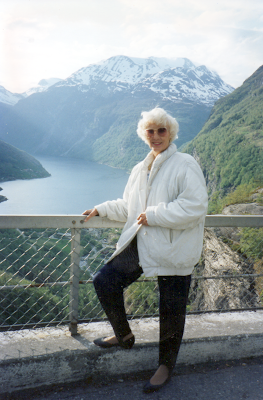 They recently traveled to Tromso, Norway where Carol Joy's daughter got married. 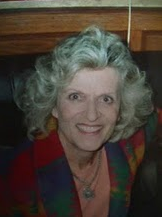 You must stop and visit Sonja's blog to see the photos. Much to my surprise, I had a special package sent to me. Sonja and Carol Joy bought a Norwegian cookbook for me and signed the inside cover with the most beautiful messages. I was so touched by their kind words. I posed my Norwegian doll next to the cookbook so you could see it. It will be treasured by me for years to come. And one day I hope to be able to meet my new Norwegian sisters in person. Thank you Sonja and Carol Joy. What a beautiful and wonderful post. I have to say, your mother is so pretty! I love that you have found Sonia, what a lovely thing to have happened to you both. I have enjoyed reading your story. I'll be back to hear more. How sweet and precious...I hope you enjoy that cookbook and the message that you are loved and remembered. All of us Norwegians need to stick together. Same here, both grandparent immigrated to New York from Norway. Our moms go way back. Love your post! Thanks for celebrating today with us! That is so wonderful that you have these friends. I didn't know you have never met. That will be so wonderful when you do. How awesome that God had made you meet each other...But the most awesome fact is that you do share that unity that comes from belonging to His family. God bless. What a wonderful story, Debbie! I love how God gives us friends through common interests, friends that become like sisters. The cookbook is a wonderful gift that I am sure you will cherish. My husband is of Dutch heritage, with both sets of his grandparents having come from Holland, and he grew up in a Dutch community in the midwest. It is a wonderful heritage God has given him, just as He has given you. How awesome they sent you that cookbook and even better that the Lord brought you all together! You and your mom are just beautiful! Ah Debbie... tak, tak, tak for alt! You are for sure our sister! This blog is so precious, and I thank YOU! I am so glad God has lead our paths together, and like you, I know it is no accident! That was very nice of them sis. Any chance you will try a recipe or two and feature it on your blog? Sonja must be your sister; she's as sweet as you. 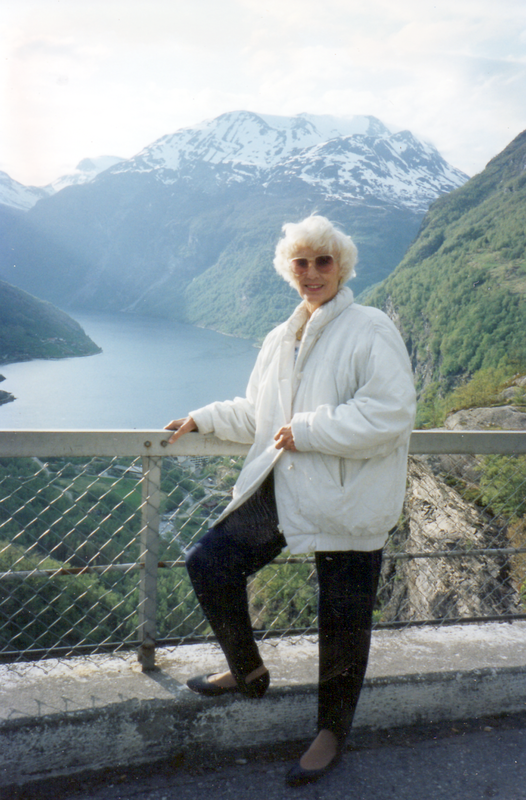 When I was young Norway seemed like a land of fantasy to me - I would read of the fjords, and the midnight sun... everything seemed so beautiful, but unreachable as far as I was concerned. Then I met Felisol on blogworld, and I have read every single post she has written from the day I began following her blog. She is creative, artistic, has such a deep sense of history, reads the classics, posts lovely photos and interesting stories. After Felisol, I met Sonja...and then you... and then another blog friend, named Colleen who is a Canadian but now lives in Norway, too...and now Norway doesn't seem so far anymore. But the fascination I had with Norway as a child has never left me...and now that I have three Norwegian blogger friends, you can imagine the joy I have at getting to know about Norway first hand through the three of you. I loved this post, and the picture of your mom, as well as the story of how you got your family names Sumstad. What a great story today!! How wonderful to discover such a connection with these ladies. The cookbook and doll are soo darling and it is easy to see why they are so precious to you. Have a wonderful day Deb. In our lifetimes I believe there are only a few "Debbies"...and Sonja and I found ours! You are our true Norwegian sister and we love you very much. From day one we just knew it. God really does know all things best...including giving us a 3rd sister. What lovely gifts cookbooks make, expecially when they are from special friends. And when you make something good to eat from that book, it will be a double blessing as you think of your lovely Norwegian sisters. Such an Sweetpost to read! I'm so happy for you, that the lovely Tromso sisters, Sonja and Carol Joy had you in mind when they were in Norway. I see they have sent you a cook book from one of our highest profiled chefs. I do hope you try some of his Norwegian specialties. And I'm curious to learn how you liked the food.